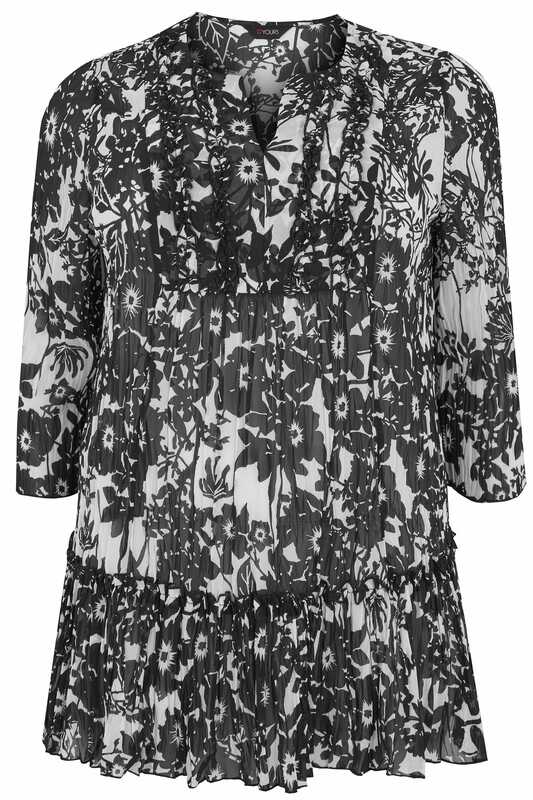 Add a hint of monochrome to your wardrobe with this chic blouse. 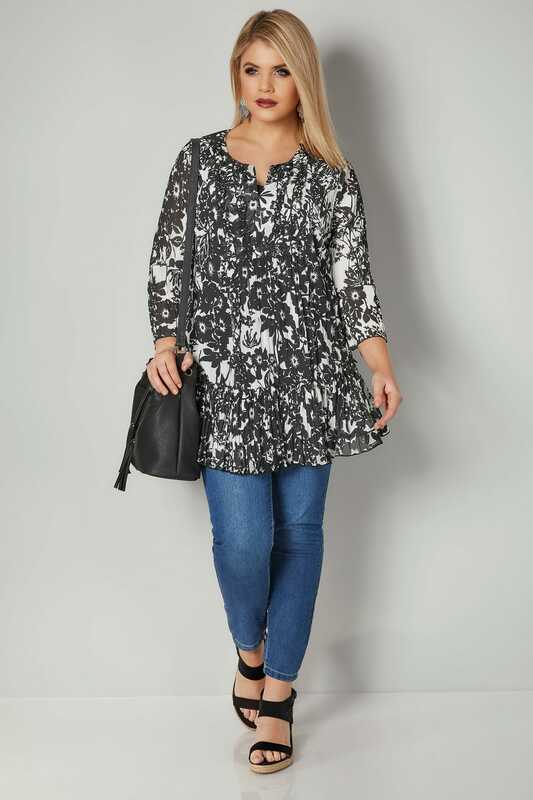 Lightweight and easy-to-wear, the crinkled fabric finish features a notch neckline and 3/4 length sleeves. Team with dark denim and flats for daytime appeal. 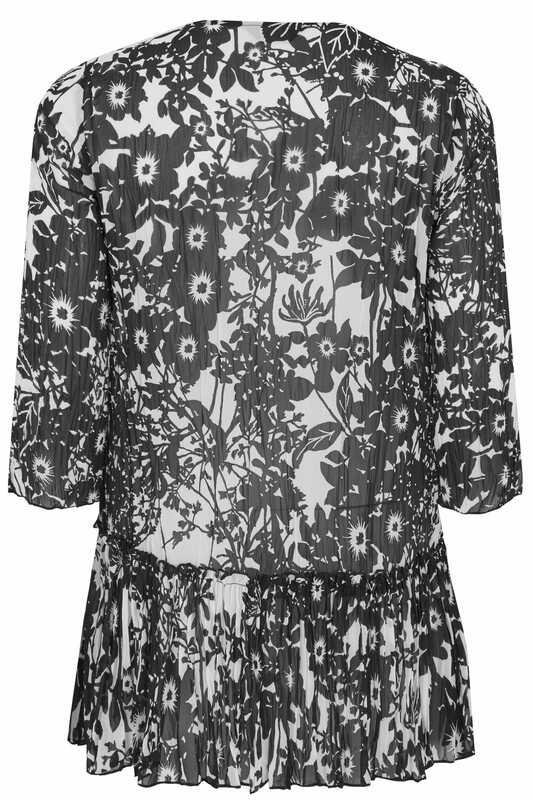 We love the understated floral print.